QUADRO NUEVO IS A GROUNDBREAKING AND SUCCESSFUL GERMAN JAZZ/ WORLD MUSIC ENSEMBLE WHO HAVE BEEN TOURING THE GLOBE SINCE 1996. CAIRO STEPS IS AN INTERNATIONAL SUFI-JAZZ-WORLD MUSIC ENSEMBLE CONSISTING OF GERMAN AND EGYPTIAN MUSICIANS. THE BAND IS ONE OF THE MOST RENOWNED INTERCULTURAL ENSEMBLES IN GERMANY AND ONE OF THE MOST SUCCESSFUL BANDS IN EGYPT. 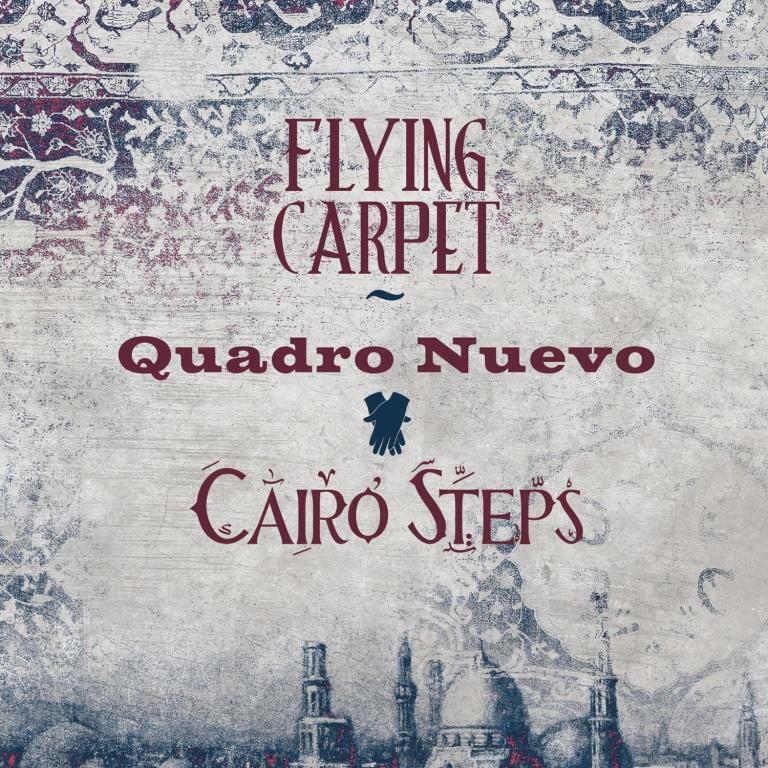 ‘Flying Carpet’ by Quadro Nuevo & Cairo Steps is an exotic, inspiring and sweeping experience in sound. The collaboration between these two well-known ensembles from Egypt and Germany brilliantly mixes Sufi elements, jazz harmonies, classical Arabic music, Tango and Oriental - creating an inspirational and powerful atmosphere. Music as a ‘flying carpet’… rising far above the boundaries of time, politics and religion.